In January I started leading a Christian women’s group…a Community Small Group through our church. My good friend, April, kicked off the first 2 sessions, but she encouraged me to lead the group in further study. We call ourselves, Women Walking in the Word. Not sure where we were headed at first I offered to do a high-level overview of the Bible in 15 sessions! Obviously in 15 one hour sessions, this is very high-level! What a great time we’ve had with this study! Creation, Fall, Covenant, Exodus, Promise Land, Law and more…eventually we will conclude with Jesus’ Return and the New Creation. When looking for material as a springboard, I found a great app through Matthiasmedia. I want to thank them for their outlines and questions. They have helped me dig deeper. Some of the ladies in our group have said they have grown in their faith through our studies, but I think I have grown more. I want to thank April for giving me a shove…I’ve led many groups before…key word there is before. I needed to be serving now!! Last week I mentioned The Ark of the Covenant and its contents to our group. Some had puzzled looks and several questions. Immediately I realized we need to study the Tabernacle. So…that is our next topic. I absolutely love studying the Tabernacle and how it foreshadows Christ. God’s detailed commands for the setting up of the tabernacle demonstrates to us God’s holiness. HOWEVER…WOW! This is too huge for one day!! For one hour!! There is so much to cover!! How can I pick and choose what is most important? The Brazen Altar? The Laver? The Showbread? An act of fellowship, breaking bread with God. 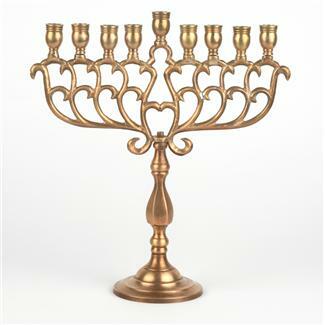 The only source of light in the Holy Place was the lampstand (menorah) and would have been the only way the priests would have been able to see while they fellowshipped with God. The main branch of the lampstand represents Jesus. Extending from the original branch are six branches which symbolize believers. Christ said “I am the vine, you are the branches … apart from me you can do nothing” (John 15:5). This is all such good stuff!! I need your prayers so that I cover what God wants me to cover! Lord, help me to share how the Tabernacle symbolized your forgiveness and grace. I’m sure you were a very good leader! I love leading this group! Susan- I am so glad God is showing you how to most effectively use the gifts He has given you!!! Sounds like an awesome study- we just finished a wonderful Beth Moore study on the life of David- it was powerful! now we have begun a 6 week study on The Explicit Gospel- it promises to stretch our concept of what “living a gospel-centered life” really looks like! Did you know that Beth Moore is coming to DAYTONA in November????? You have probably seen updates on my Facebook page- but let me know if you would like more info for your women’s ministry at your church- glad you have landed in a good place! HUGS!!!! We have been discussing Beth Moore’s visit to Daytona. I will get with you.